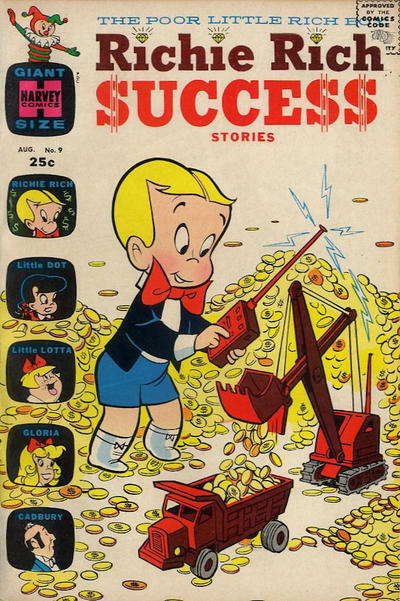 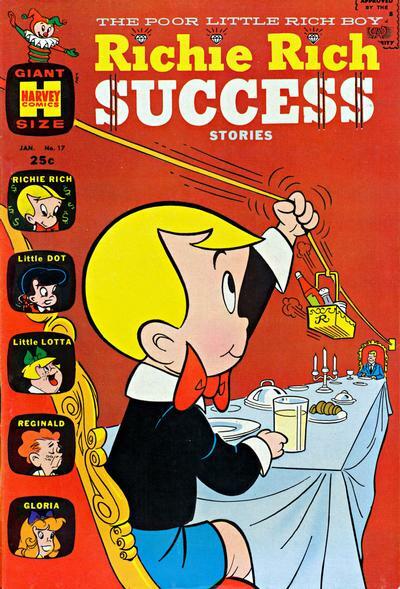 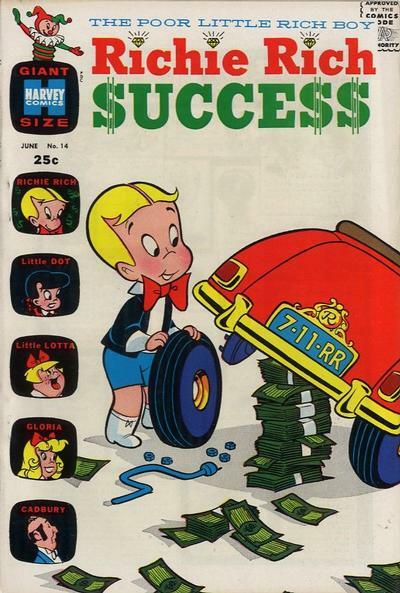 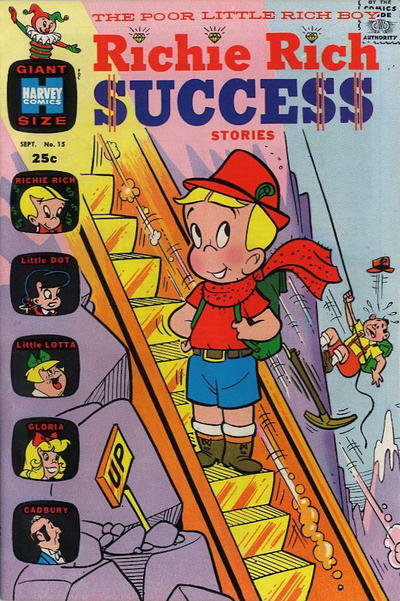 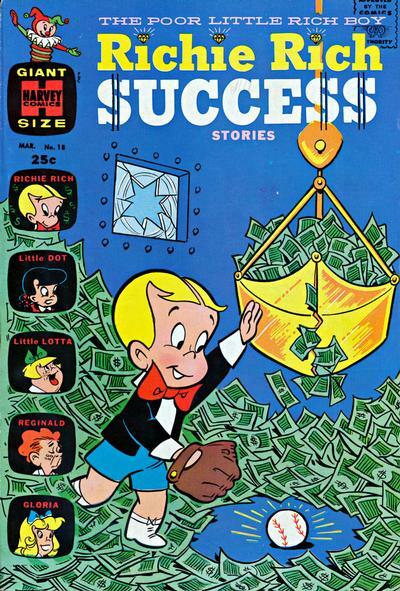 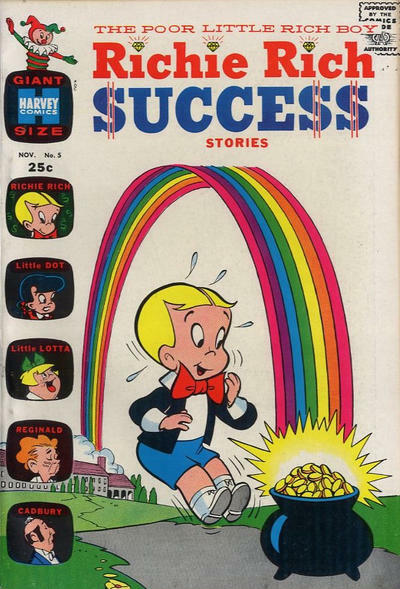 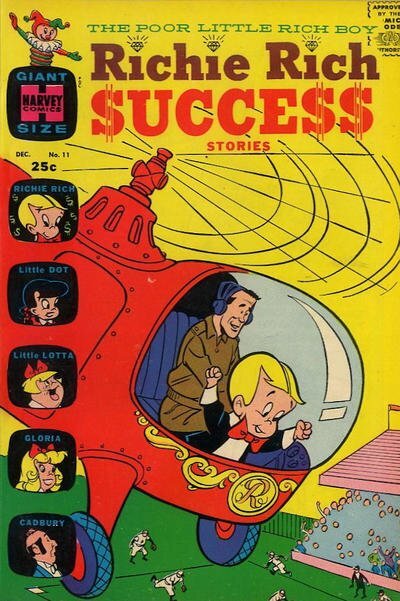 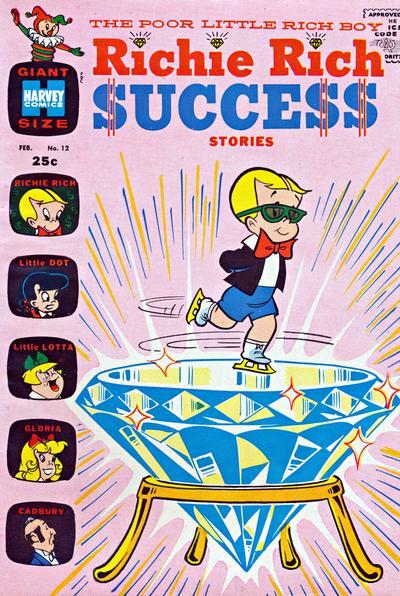 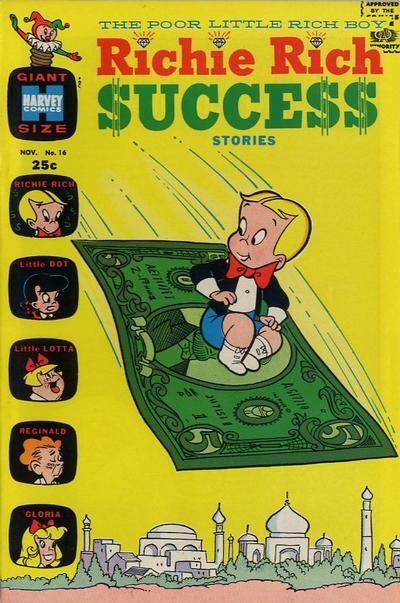 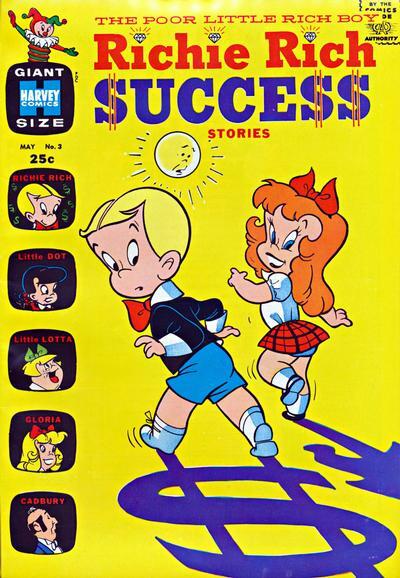 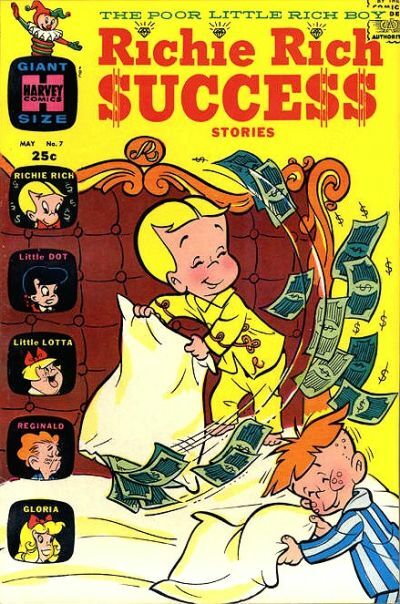 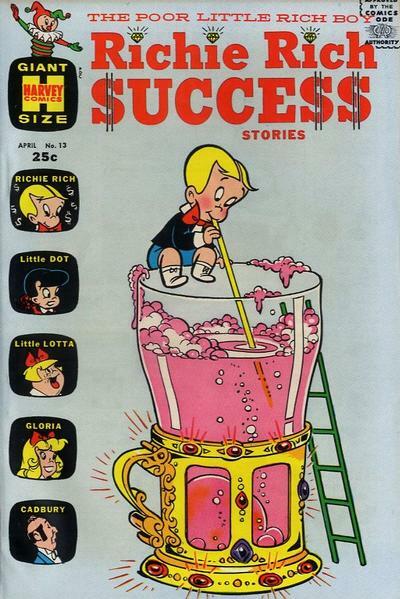 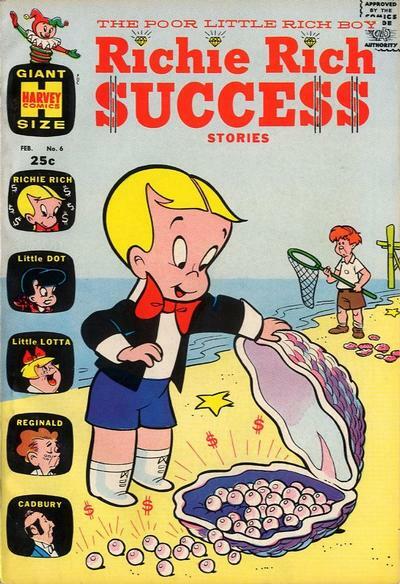 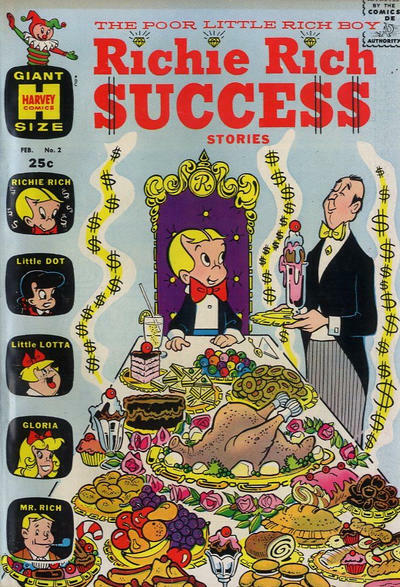 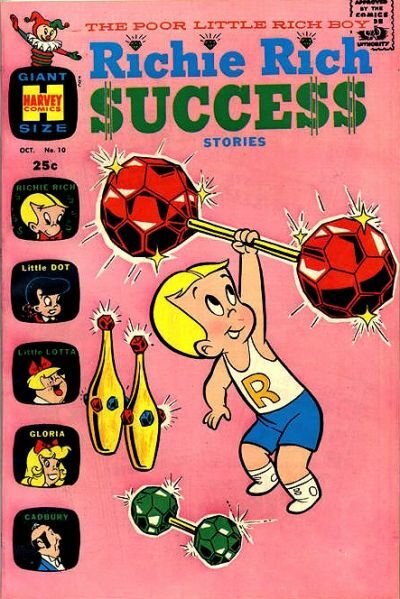 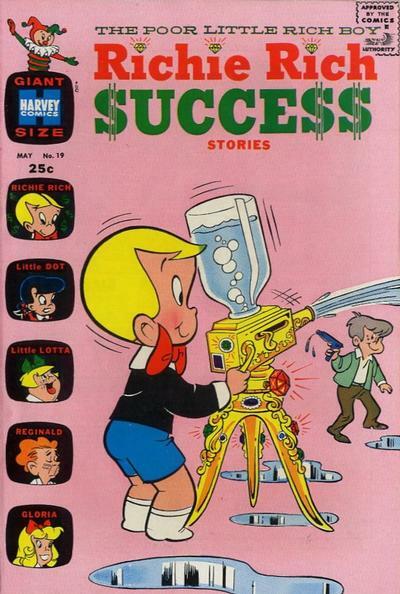 Richie Rich Success was a comic book published by Harvey Comics that ran for 18 years from November 1964 to September 1982 with a total of 105 issues. 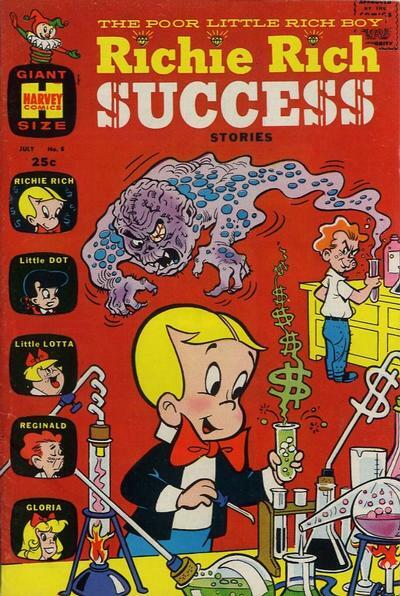 Richard "Richie" $ Rich, Jr. (often stylized as Ri�hie Ri�h) is a fictional character in the Harvey Comics universe. 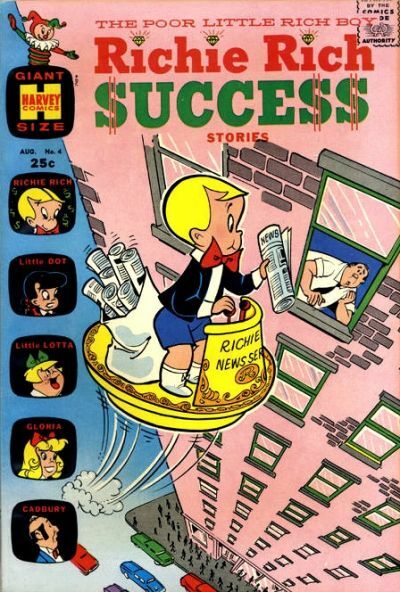 He debuted in Little Dot #1, cover-dated September 1953, and was created by Alfred Harvey and Warren Kremer. 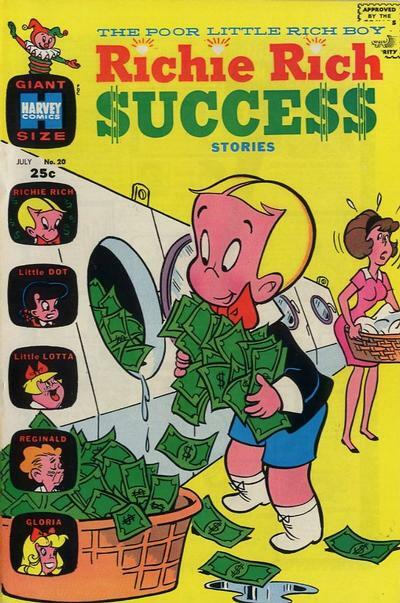 Dubbed "the poor little rich boy," Richie is the only child of fantastically wealthy parents and is the world's richest kid. 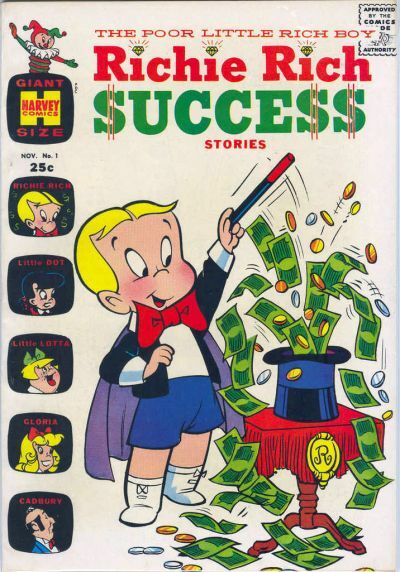 So rich, his middle name is a dollar sign, $.